Looking for activities for children over the Easter holidays? Check out at what's on offer on campus. Our holiday scheme for children aged 5 to 14 years offers an inspiring range of educational, cultural and sporting activities to challenge, entertain and enthuse; develop their knowledge and skills and use the fantastic resources available on campus. Take advantage of a staff discount until 9 March 2018. Opportunities for kids to come together, make some friends, try a new sport and keep active during the break. See what's on offer, including climbing camps and tennis. 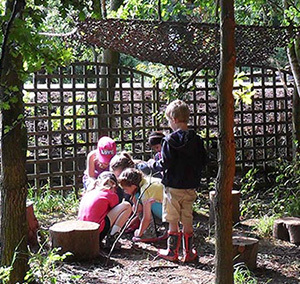 Warwick Arts Centre has a great family programme and a family friendly sculpture trail. Keep up to date on the dedicated Facebook page. You can even help shape and share their future programmes by becoming a Family Ambassador.